Continuing with the 'tradition' of this story arc we begin with a flashback. 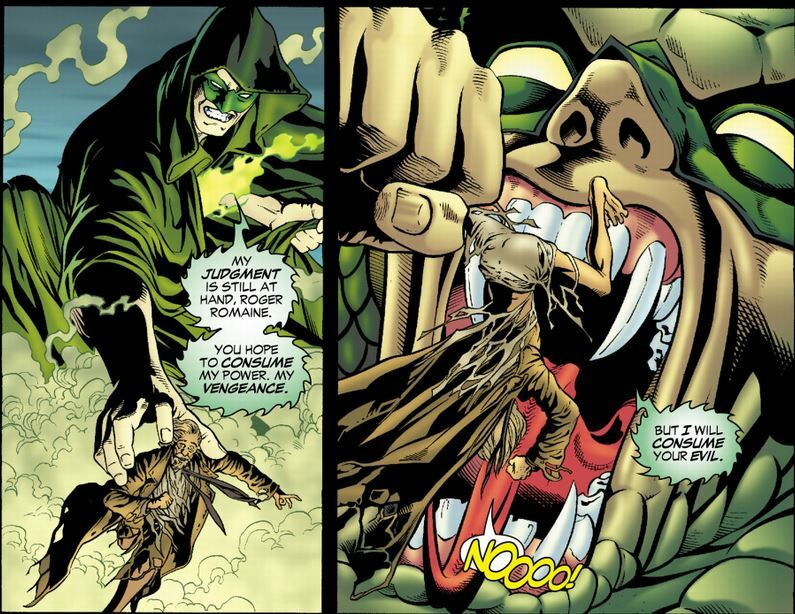 This time it's the death of Detective Jim Corrigan and his hosting of the Spectre. It turns out that Louis Snipes was the one who snitched on Corrigan and is the first recipient of the Spectre's vengeance under Corrigan's tenure as host. 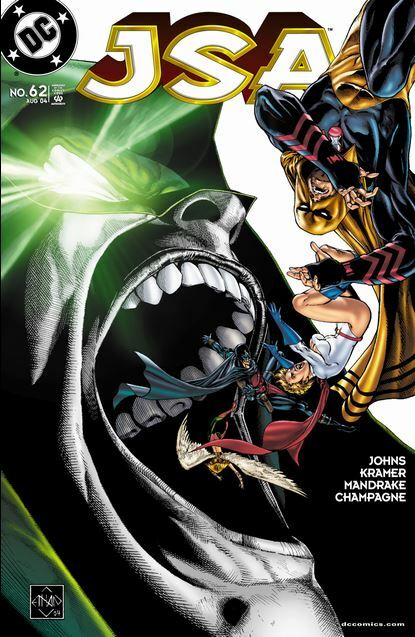 Back to the present, Hourman has been an absolute powerhouse but the tide of undead seems endless. Fortunately, the JSA has more than one strongm-, uh, strongperson. Yup, it's the JSA in Night of the Living Dead. Snipes bites it for the second time as Dr. Midnite deals a blow for Ice Sickle. 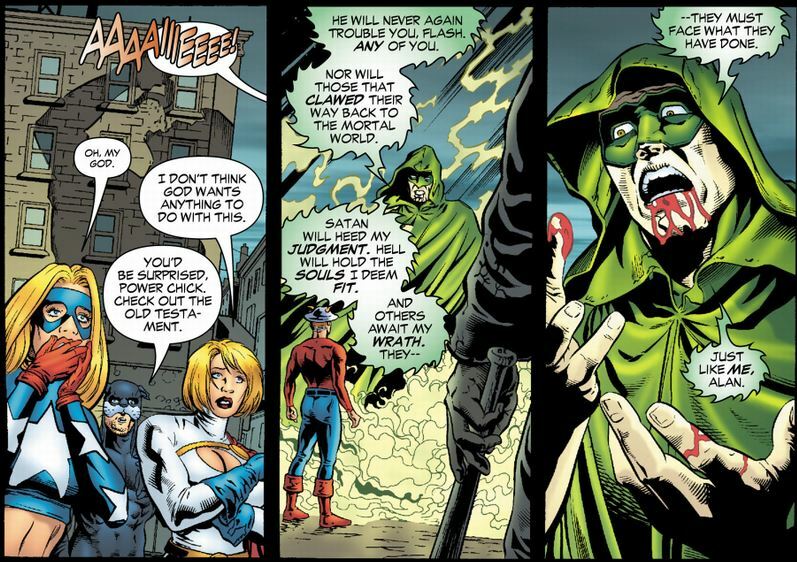 They bring in a priest to help with the struggles within Hal Jordan/Spectre. 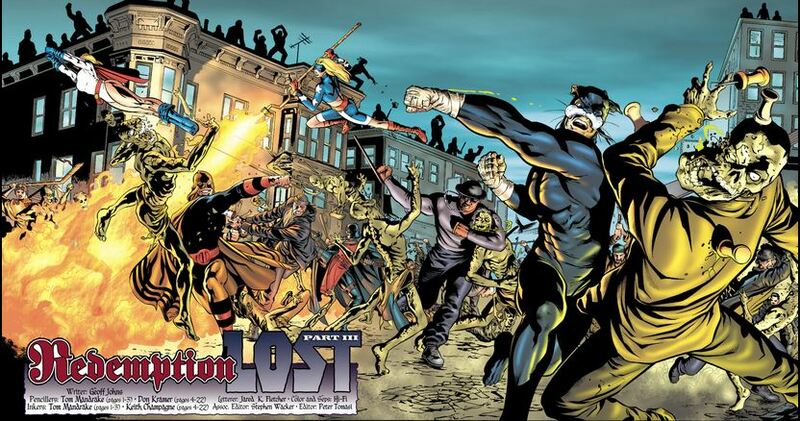 The Spirit King begins to use Flash's speed against the JSA. 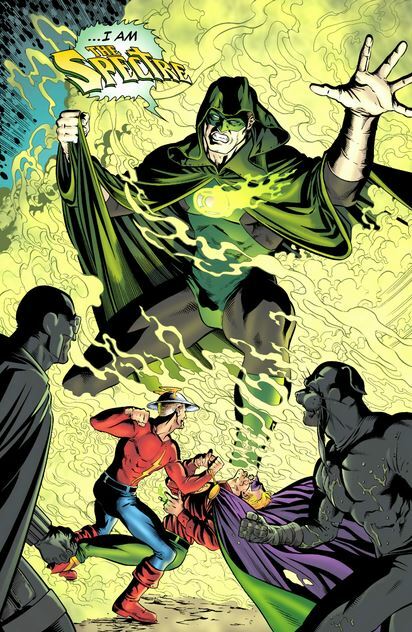 Here he is beating up Alan Scott. Mr. Terrific will get an even rougher beating. Jay is resisting, forcing the Spirit King to make Jay hit himself. 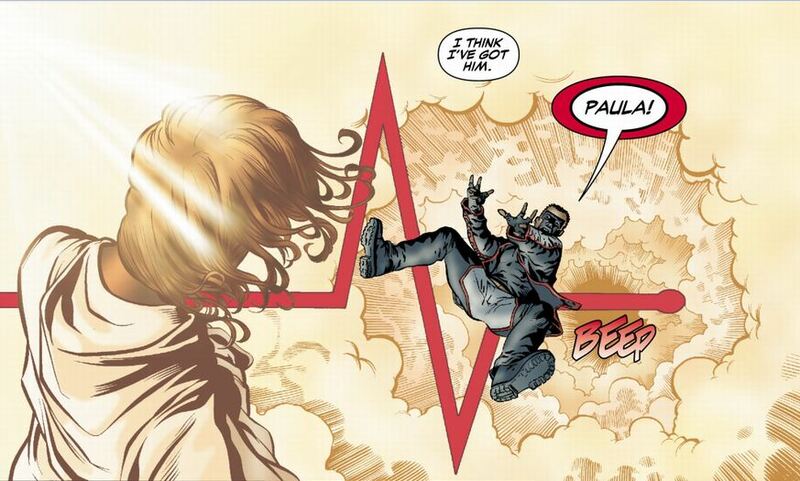 Hal Jordan finally makes a choice. I think it's the right one. With Spectre's return as the Spirit of Vengeance, Roger Romaine is in deep, deep trouble. Jordan may have made a choice but he's not perfectly at peace with it. With the return of the Spirit of Vengeance all the undead disappear and go back to the Hell from which they came. The biggest casualty is Mr. Terrific whom Spirit King/Flash beat up pretty badly. Michael Holt has a near-death experience where he sees his wife and child. It starts him on the path to being a believer. Here he joins Pieter Cross (Dr. Mid-Nite) for a service.